The penultimate stamp auction of 2015 was held at the Lord Leycester Hotel. From January 2016 the auction will be returning to the previous venue, the Ballroom of the Court House in Jury Street, Warwick (read more here). 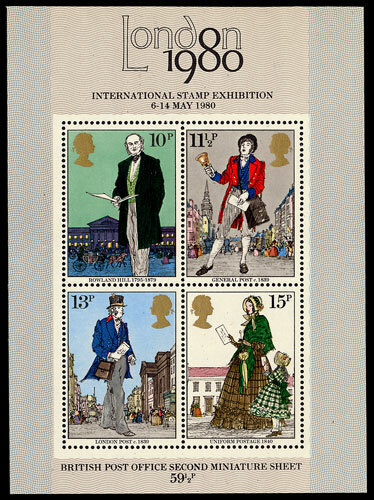 The 1979 Rowland Hill mini sheet was beset with printing problems (read our news item here) leading to some very rare errors, some of which were offered in the auction. An example with brown-ochre ommited (6 examples known) sold for £1030. The labels used on postage carried on the Levant section of the Orient Express are something of a mystery and highly prized. The auction included a delightful red example tied, alongside a Jubilee ½d, with a Constantinople cds. This rare item sold for £212. 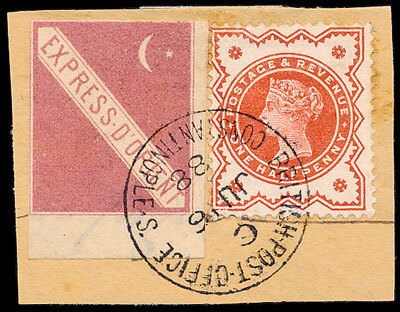 Stamps from the siege of Mafeking are always popular (see the news item on a Mafeking cover sold earlier this year, here), and yet again this proved to be the case. 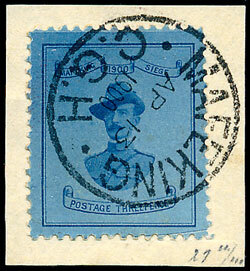 Amongst a number of similar items a superb 1900 Baden Powell 3d on-piece stood out, eventually selling for £1000. 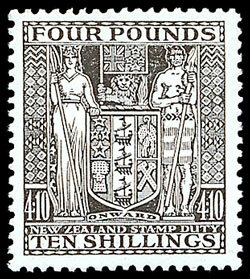 The New Zealand postal fiscal issues are very collectable, but difficult to find in very fine condition. Maybe that is why a 1931-40 £4/10/- UM sold for £1,120, well over half the catalogue price. President Xin Ping’s recent visit to the UK helped foster ties between the countries and possibly gave another boost to the meteoric rise in Chinese stamp prices. 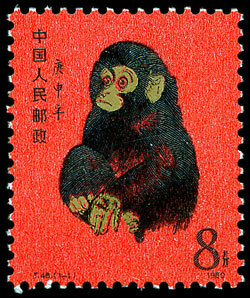 A collection covering many of the better 1970s & 80s items, estimated at £1,200, sold for £2,950, and an example of one of the most iconic Chinese stamps, the 1980 Year of the Monkey 8f, sold for £940. A rarely seen 1945 German Löbau local overprint set on a pair of covers was offered in the foreign section. 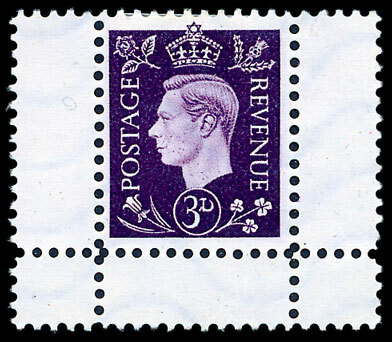 Albeit a philatelic item, it has been expertised by 2 specialists and reached a well justified realisation of £180. 1883-4 high value trio, all marginal UM, sold for £1,830. 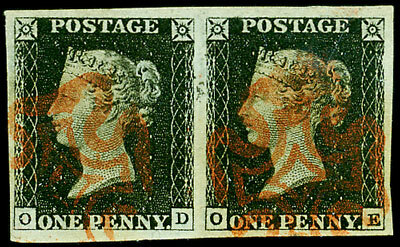 1840 1d black, plate 1b pair sold for £380. 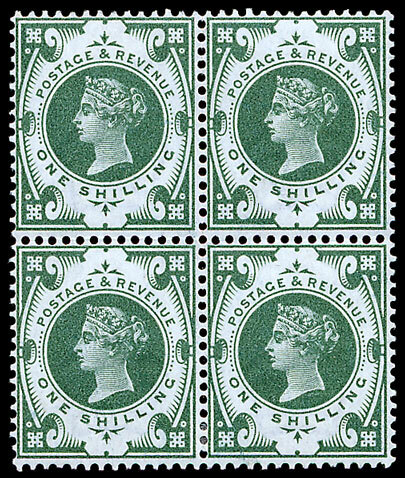 Queen Victoria Jubilee set to 1/- in mint blocks of 4 sold for £940. 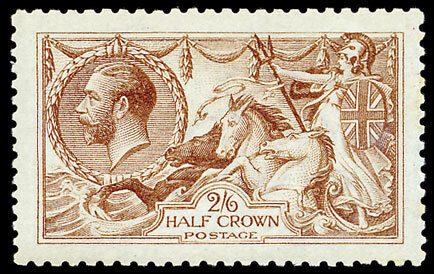 1915 De la Rue Seahorse 2/6d cinnamon brown, UM sold for £700. 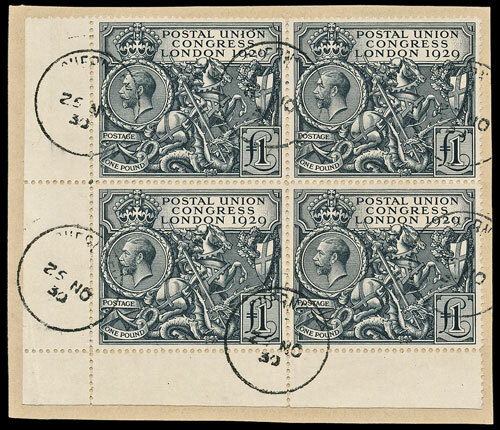 1929 PUC £1 in block of 4 on-piece sold for £1,475, rarely seen in a multiple. A collection of World War II propaganda forgeries, entered with an estimate of £400 attracted a lot of interest. The range was bid up to £680 before selling. Finally, was this the ultimate Christmas present for a devoted football fan? 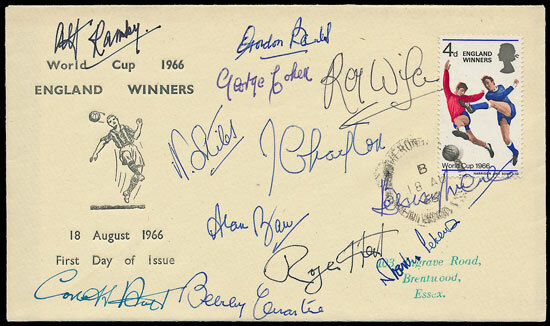 A 1966 England Winners First Day Cover, signed by the players and manager, scored a notable result selling for £975.